Around 18:20 when the Grand Fleet was deploying, the BCF was roughly 9,000 yards from Hipper&apos;s SG. Indominatable hit Derfflinger three times, Seydlitz once. About 20:19, Inflexible and Indomitable spotted the SG around 10,000 yards off as the sun was setting. Seydlitz was hit 5 times before Mauve&apos;s pre-dreadnoughts joined. 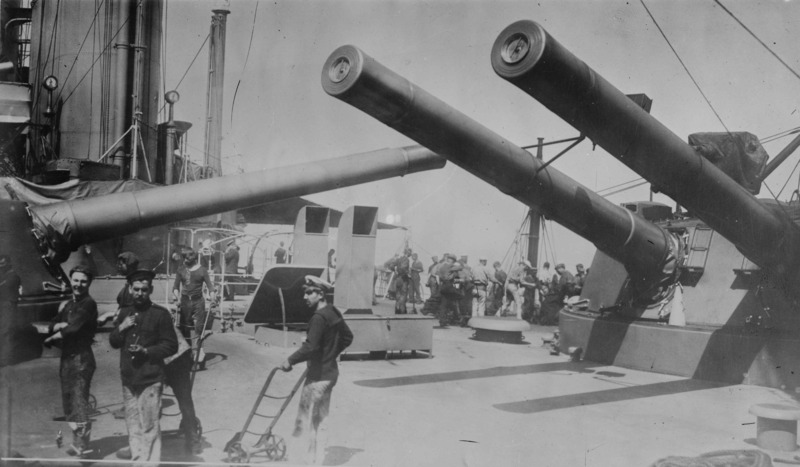 Three of his ships were then hit when the two British battle-cruisers shifted fire to the larger and new threat. 4 shafts operated by two Parsons direct-drive steam turbine sets. Used 31 Babcock and Wilcox boilers. Rated 41,000 shp. Other terms other than "armoured cruiser" had been used in the type description - "cruiser-battleship", "dreadnought cruiser" as well as "battle-cruiser".